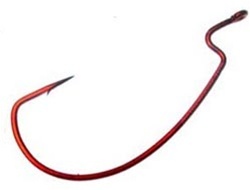 Our most popular and most versatile worm hook. Used for everything from finesse baits to tubes and jerkbaits. Size > 58312 #2/0 6pc. Size > 58315 #5/0 5pc. Size > 58313 #3/0 5pc. Size > 58310 #1 6pc. Size > 58311 #1/0 6pc. Size > 58314 #4/0 5pc. Size > 58309 #2 6pc.